The Watertower Gallery 611 Albion St., (707) 937-5664. Thur-Sun 10-11:30am. Inside the town’s oldest working water tower, you can view the art of, or take a class from, pastel artist Suzi Long. The John Dougherty House 571 Ukiah St., (800) 486-2104, (707) 937-5266. 8 units; $$-$$$. Unsuitable for children under 12. Some wood-burning stoves. Full breakfast. No pets. This 1867 salt box-style house is one of the oldest in town. Depending on the weather, a communal living room with fireplace or sheltered deck with lounge chairs is a good place to enjoy coffee or tea and afternoon cookies. Rooms are in the main house, in an adjacent water tower repurposed into a charming two-room suite with a 16-foot-high beamed ceiling and wood-burning stove, and in two cottages amid a lovely English garden that holds a memorably fragrant purple rose bush. All of the cozy rooms are a little different, and most have pine furniture, stenciling on the walls, and ocean views. Bed linens are 600-thread-count Neiman Marcus sheets, and they are always ironed. Jack London State Historic Park 2400 London Ranch Rd., (707) 938-5216. Park: Daily 9:30-5. $6/vehicle. Museum: Daily 10-5; free. Cottage: Daily noon-4; Thur-M Nov-April; $4, 62+ & 13-18 $2. Jack London, who wrote 191 short stories and 51 books, was once one of the highest paid authors in the country. This multi-talented man was also a gifted war correspondent, and by the time his life ended at age 40 had become a passionate farmer--who wrote for income to support his new occupation. This 1,400-acre park (London's nephew donated it to the state) contains the ruins of his 26-room Wolf House (reached via a pleasant ½-mile trail), his grave, and The House of Happy Walls--a museum built in his memory by his widow. Kenwood Vineyards makes wines that are designated as from here by a wolf logo on their bottles. Sol y Luna Taqueria CLOSED 1926 Shattuck Ave./Hearst Ave, downtown, (510) 540-8880. L-D daily; $. Narrow and deep, this cheery spot specializes in Michoacan cuisine and has both indoor and outdoor seating. After ordering at the counter, visit the salsa bar where you’ll find a giant bowl of freshly made tortilla chips plus a changing group of condiments that includes salsas, pickled carrots, and beans. The drinking water jug dispenses water lightly flavored with fruit—watermelon, strawberries—and cucumbers. Orders are brought to the table. Among the menu selections are a tasty guarache ranchero, crispy tacos, big burritos, yummy sopes, and a fried chicken torta that someone on yelp says “slaps Bakesale Betty's sandwich in the face and kicks it in the crotch!” Filling include carne asada steak, carnitas, broiled chicken, soya, and organic tofu. Four Fremont antiques shops--all on one block. ●Antique Treasures 37541 Niles Blvd., (510) 742-0664. This shop is reputed to have the largest collection of heritage lace in the Bay Area. ●Bite and Browse Collective 37565 Niles Blvd., (510) 796-4537. Daily 10-5. Munch on a homemade cookie while you browse this antique collective featuring 25 dealers. ●Iron Dog Antiques 37589 Niles Blvd, (510) 793-8847. This curated mix of antiques that go well with modern decor makes for a good browse. ●Keith’s Collectible and Books 37573 Niles Blvd., (510) 790-0101. Here you’ll find collectibles that include everything from ceramic chickens to Thomas train cars to books. a fast-fill waterfall faucet, and the Kensington room has an ocean view. Cooper-Molera Adobe (525 Polk St./Alvarado St./Munras St. Tours F-Sun at 10:30am & 1:30pm.) This refined 1820s adobe is meticulously restored and part of a 2.4-acre complex with additional farm buildings, historical gardens, chickens, sheep, and a visitor center with a gift shop featuring items themed to the 1800s. The Highlight Gallery 45052 Main St., (707) 937-3132. Inside this spacious gallery you’ll find fine ceramics and beautifully crafted jewelry, too. But the piece de resistance is the exquisitely detailed Noah’s ark that is the shop’s window centerpiece. Harris Ranch Restaurant Exit 334. Surrounded by tall palms, this spot appears like an oasis on the horizon. The complex features Early California hacienda-style architecture and consists of a gas station, hotel, and restaurant/gift shop. The ranch is known for its beef but also grows vegetables, fruit, and nuts. 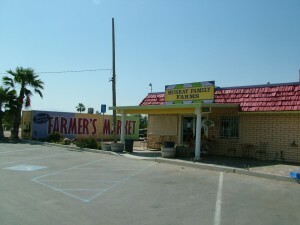 The restaurant uses their own choice beef exclusively and serves more than 2,000 meals each day. Popular menu items include the Gourmet Ranchburger, made with that tasty beef and served on a housemade cheese-bread bun (all breads and pastries are made in-house), and a delicious prime rib sandwich with grilled onions and mushrooms. A more substantial Barbecued Beef Bones dinner consists of three big ribs cooked in a tangy barbecue sauce served with a delicious spinach salad side. More options: sandwiches, salads, Mexican items, breakfast items (available all day), and great pies. Little Ranch Hands meals for children under 10 include a choice of hamburger, grilled cheese sandwich, barbecued beef rib, or hot dog, and all are served with french fries and a horse-shaped sugar cookie. Any wait during prime dining times can be spent browsing in the Country Store gift shop. If you’d like to take home some of their flavorful steaks, ask to have them vacuum-sealed and they will stay fresh for approximately 4 hours. And don’t forget to pick up some baked goods for the family to munch on in the car and for the next day’s breakfast. If you arrive here tired, you can spend the night at the adjacent Harris Ranch Inn. 123 rooms; $-$$. Heated pool; 3 hot tubs; fitness room. MacCallum House Inn & Restaurant 45020 Albion St., (800) 609-0492, (707) 937-0289. 19 rooms; $$-$$$+. Some wood-burning fireplaces & stoves. Hot tub. Full breakfast; restaurant. Pets ok in some rooms. Built in 1882 by William H. Kelley for his newlywed daughter, Daisy MacCallum, this converted Victorian mansion was one of the first B&Bs in the area. The six attractively decorated rooms are furnished with antiques, many of which belonged to the original owner, but TVs are, unfortunately, no longer covered with fabric TV cozies. The second-floor communal game room has a spectacular ocean view. A water tower suite is fitted with a bed on the first floor, a bathroom with an ocean view on the second, and another bed with an ocean view on the third. (The water tower has a working redwood tank on the very top, and the original 50-foot-deep hand-dug well below still produces water.) Accommodations are also available in newer cottages adjacent to the house. Some rooms have private hot tubs. Non-guests can purchase a gourmet organic breakfast, which is served in a sunny cafe or, in good weather, outdoors. The restaurant (D daily; $$$. Reservations advised.) serves dinners in the house’s dining room. The regional menu might offer Niman Ranch rack of lamb with a lavender-rosemary popover, or crispy fried chicken with green-onion mashed potatoes and mushroom-sherry gravy. On cold nights, guests are warmed by crackling fires in two fireplaces built of smooth river stone. Light dinners and snacks are available across the hall in the cozy Grey Whale Bar & Cafe, also operated by the restaurant. Drinks are handmade with organic fruit, herbs, and spices and include margaritas and daiquiris. roaster Thanksgiving Coffee. After, allow time to walk the trail in front leading down to mile-long Greenwood State Beach, where you can view imposing Gunderson Rock up close, collect smooth stones, and explore caves and tide pools. Another trail leads into town. Check out the local surf.